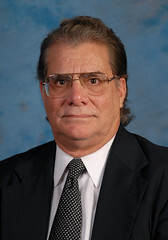 Ronald E. Barr is Professor of Mechanical Engineering at The University of Texas at Austin, where he has taught since 1978. He previously taught at Texas A&M University. He received both his BS (Electrical Engineering) and Ph.D. (Biomedical Engineering) degrees from Marquette University in 1969 and 1975, respectively. He spent two years in military service at Walter Reed Army Medical Center. Barr has been an active member of the American Society for Engineering Education (ASEE) and served as ASEE President in 2005-2006. Barr has received numerous grants from NSF for curriculum innovation in engineering education, and frequently publishes articles in refereed journals and conference proceedings on educational topics. During his career, Barr has won 6 first-place and 3 second-place best paper awards at meetings where he has presented. Barr received the A.T.&T. Foundation Award (1990) for excellence in engineering teaching, the Chester F. Carlson Award (1993) for innovation in engineering education, the Engineering Design Graphics Distinguished Service Award (1999). and the Orthogonal Medal (2007). Barr was elected to the grade of ASEE Fellow in 2000. Barr is on the editorial boards of the Engineering Design Graphics Journal and the international Journal for Geometry and Graphics. Barr served five years as Graduate Advisor for Mechanical Engineering and six years as Graduate Advisor for Biomedical Engineering at the University of Texas at Austin. Barr's interests are in Biosignal Analysis, Biomechanics of Human Movement, Computer Graphics Modeling, and Engineering Education Research. He has supervised to completion 6 Doctoral dissertations and 53 Masters theses. In addition to ASEE, Barr is also a Fellow of ASME, and a member of IEEE, Tau Beta Pi, Sigma Xi, Alpha Sigma Nu, and Triangle Fraternity. Barr is a Program Evaluator (PEV) for ABET and is a registered Professional Engineer (PE) in the state of Texas. Danos, X., Barr, R., Gorska, R., and Norman, E.: Curriculum Planning for the Development of Graphicacy Capability: Three Case Studies from Europe and USA, European Journal of Engineering Education, Vol. 39(6):666-684, 2014.